Flowers have a lot to love. Beyond the natural beauty and distinct appearance of each different type, flowers have been shown to improve moods and productivity. Each bouquet or arrangement is unique, and everyone has their own individual favourite pick. This is no surprise as flowers have been with us as long as humans have been around! Most flowers cannot be mistaken for another. Anyone can find a flower that fits their personality or creative tastes. Why do we love flowers so much in the Okanagan? We live in one of the most beautiful places on Earth, with nature never more than a short drive, or even walk, away. British Columbia is home to over 3000 species of native plants covering every landscape, from the mountains to our own Okanagan Valley. Those of us who were lucky enough to be born in this beautiful place may take it for granted, but this is a big part of why we are such an immensely popular tourist destination, our natural beauty! We find ways to make use of flowers in several aspects of life, often for their beauty, but also for the subtle effects they have on us. This one stands out, given that flowers have continued to be a staple at processions, receptions, and the ceremonies themselves. Not only can aisle side flowers add a pleasing aesthetic to your walk up, you will want to have your bridesmaids carrying a matching set, or a centrepiece at the head table, and your flower girl will need some petals for the basket, too! There are a number of additional ways to integrate a touch of colour throughout the venue, and we specialize in finding creative ways to add flowers to make each wedding unique in appearance. Is your venue lacking something? Flowers will, no doubt, bring some life into the space for everyone to enjoy! It might not always stand out to you, but there are flower beds covering the sides of our walkways and streets. The Okanagan Valley is known for the sunshine and amazing Summer’s we have year after year, so the city does its best to adorn the streets with a bit of colour and life. Rather than being in a concrete jungle, the communities of the Okanagan have implemented natural plants at every turn, ensuring you feel connected to nature even in the heart of a city. When it comes to productivity and keeping morale high, the office setting can often be a challenge to maintain that environment. To help with this, flowers have been shown to have a discernible effect on the work of employees, as well as the moods of clients. 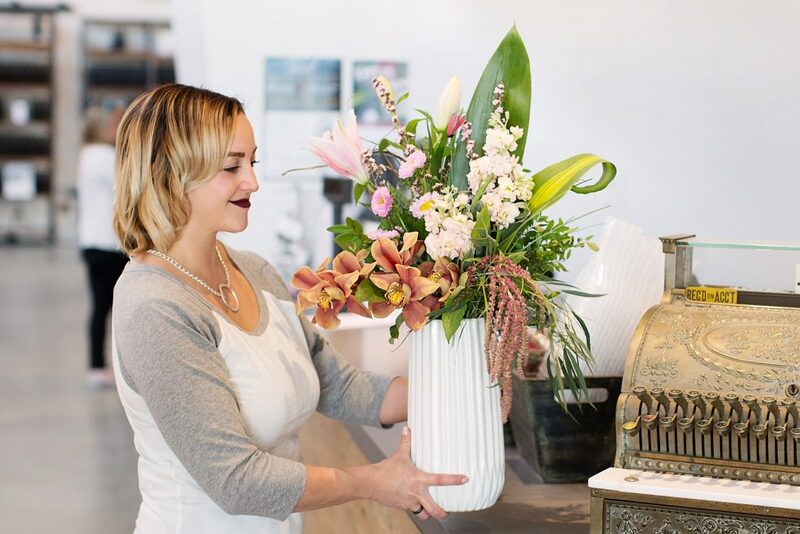 Here at Passionate Blooms, we deliver on a regular basis to businesses throughout the Okanagan, giving a boost to the teams that receive a new arrangement on a monthly or bi-monthly basis! For the girls looking to add flair to their next outfit, a flower tiara or bracelet are two easy ways, especially with the design help from the experts at Passionate Blooms. These fit in at all occasions, completing an outfit with the intricate beauty and complementing colours that our flowers always have. We also have the traditional fare for wearables, such as boutonnieres or corsages, in a huge selection of styles, shapes, and sizes. 1. Workshop Fun in West Kelowna! Have you had an interest in flowers, but can’t tell a succulent from a flower? We offer workshops on everything you have wanted to know, but didn’t know where to start! 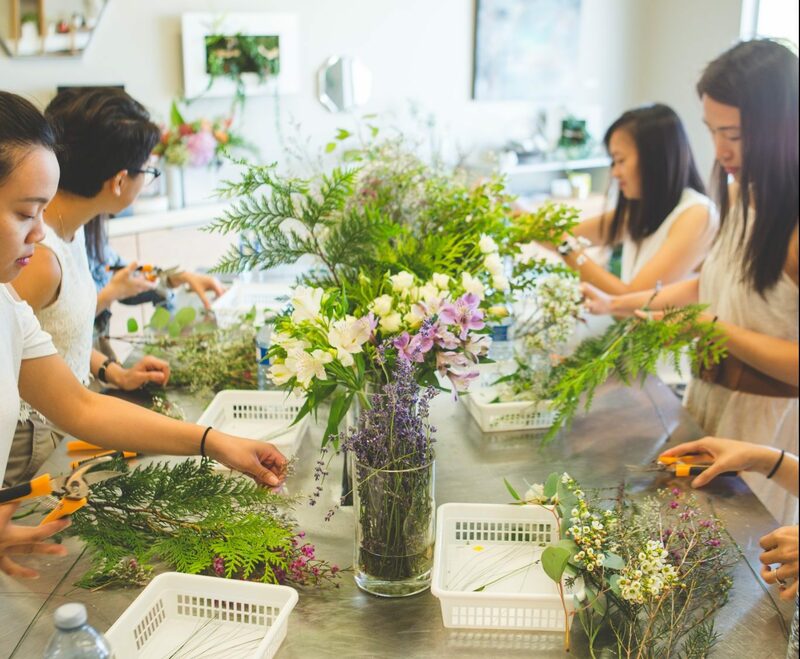 We regularly host workshops on terrariums and wearable flowers, but if you have a special occasion, like a bachelorette party or birthday, celebrate it with us and we can tailor the event to your group, covering whichever topic you are interested in learning about! Get into the flower spirit with Passionate Blooms, we have something for everyone to enjoy. In the Okanagan Valley, we are lucky to have flowers everywhere, so don’t forget to pick them up for your next occasion! Give us a call at 250.808.1282 to order your perfect flower arrangement or to book a private workshop!